A modern take on an iconic jacket. 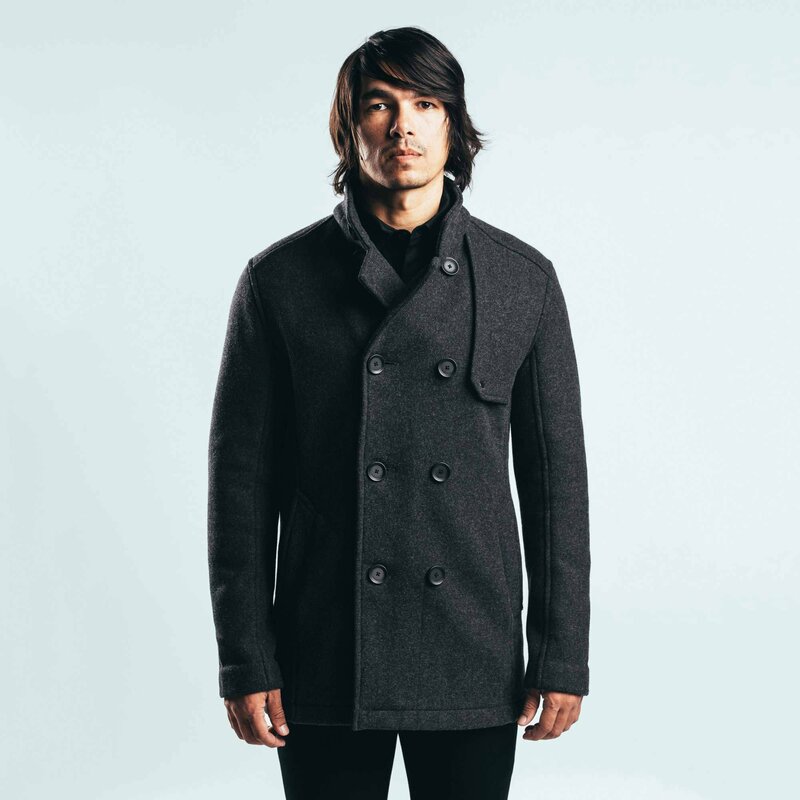 According to historical records, the peacoat jacket first made its appearance in 1720. Its appeal has endured for centuries. In 2017, Mission Workshop revitalizes the iconic design with a new take on the classic silhouette. 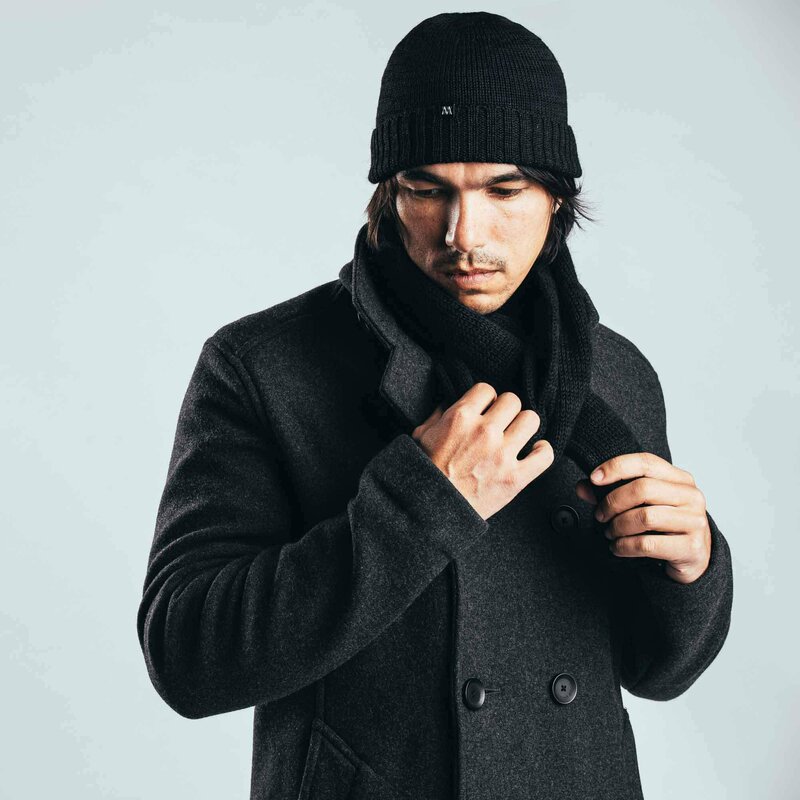 The new Advanced Projects Bridgeman Peacoat provides a stylish and distinctly modern interpretation of the beloved style, while also enhancing it with a range of technical features and premium materials. The Swiss-made 3-layer softshell fabric combines water resistant wool fabric with stretchy nylon on the exterior, and a soft polyester fleece on the interior. 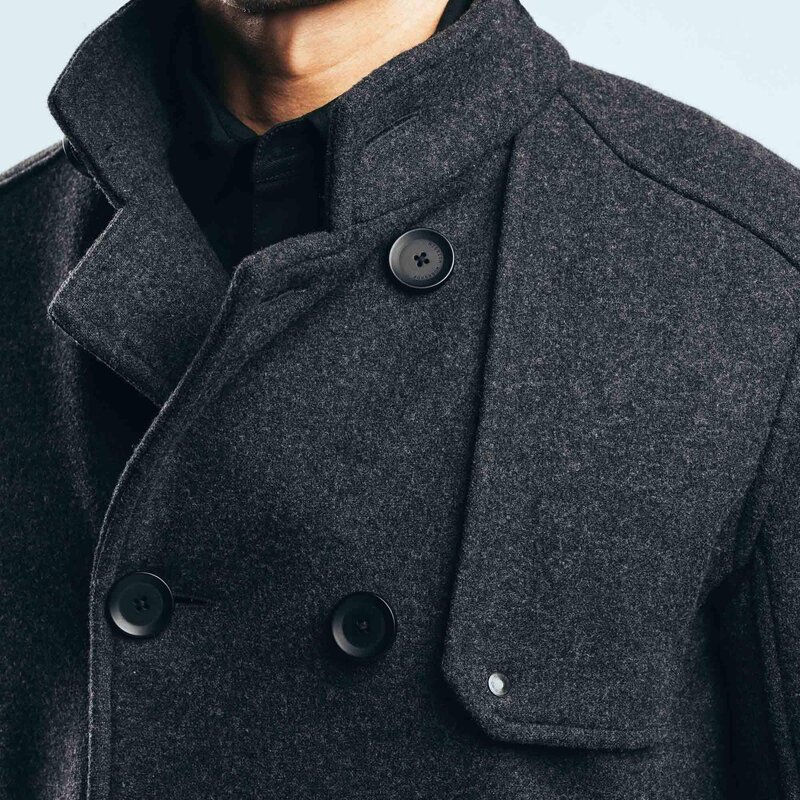 As a result, the jacket doesn’t require an extra sewn-in liner. This helps to reduce the overall weight and bulkiness of the material, allowing easy layering. Not only windproof and highly water-resistant, the coat is also insulating and breathable, providing a 4-way stretch for flexibility. 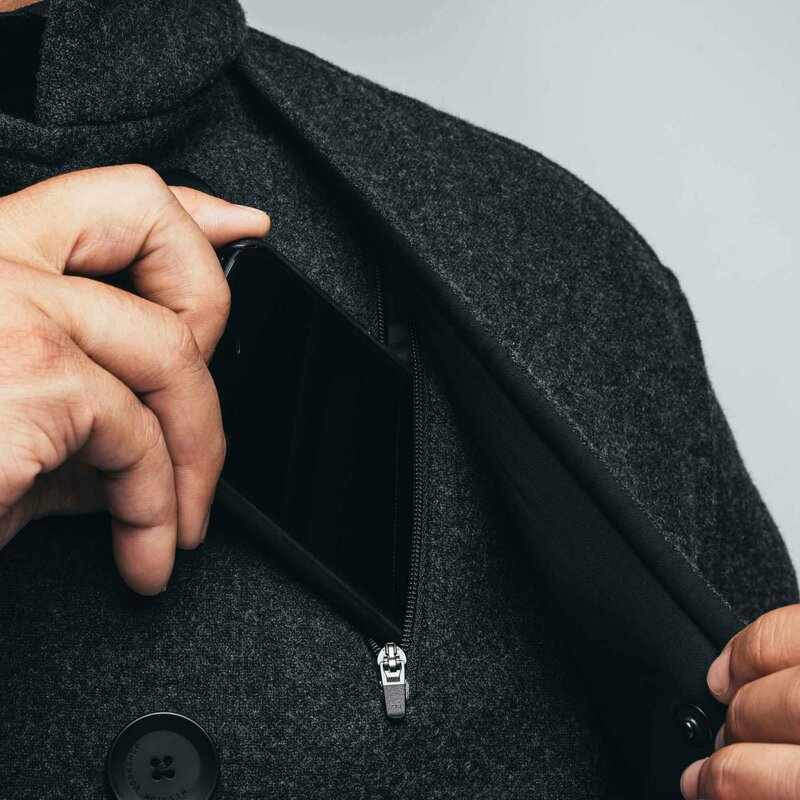 The coat comes with a convertible funnel collar, two zippered hand pockets and one zippered chest pocket as well as a dedicated knife pocket. All brought together in a minimal, stylish, and timeless design. 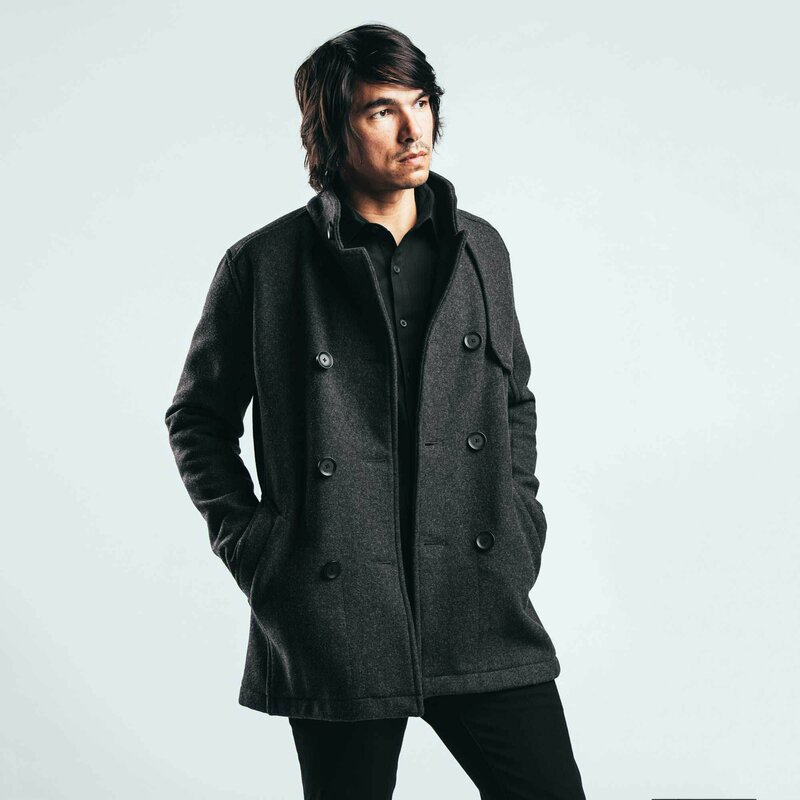 Available now on the brand’s website, the Bridgeman Peacoat costs $650 and comes with an impressive lifetime warranty. And it’s made in the US, too. Photographs© Mission Workshop.